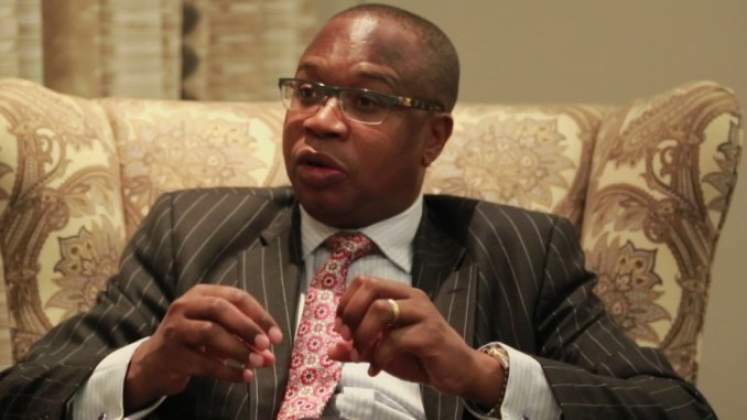 Finance minister Mthuli Ncube has hit the ground running, infusing some urgency into President Emmerson Mnangagwa's administration in dealing with Zimbabwe's multi-layered economic crisis. Ncube, a visiting professor at the University of Oxford and former chief economist as well as ex-vice-president of the African Development Bank, early this month gave up a lucrative job abroad to take up one of the most demanding positions in a country undergoing serious transformation. Zimbabweans have placed their hopes on the former banker to help turn around the comatose economy and so far he is striking the right notes in his public pronouncements. The Treasury boss is currently in the United States where he is accompanying Mnangagwa, who is on United Nations business, and his public engagements since arriving in New York last week have given us an opportunity to understand his thinking as far as reviving Zimbabwe's economy is concerned. Ncube appears to understand very well the limitations imposed by Zimbabwe's political culture that in the past saw brilliant minds such as Nkosana Moyo being hindered from using their undoubted skills for the benefit of the economy. The Finance minister told journalists during one of the briefings that his preference was a "fiscal shock, but there is what you call the political collar or the politics of policymaking, which then slows you down". "My preference would be more of a big bang approach because every day counts in terms of cost." The minister's statements were clearly a cry to be allowed to push through policies that can rescue the economy from the abyss, especially at a time when foreign currency is drying up, triggering serious fuel shortages. He spoke a few days after what appeared to be contradictory pronouncements by Mnangagwa on bond notes, which Ncube had earlier insinuated, would be scrapped soon. In his state of the nation address, Mnangagwa said the surrogate currency was here to stay and this raised questions about the government's position on currency reforms. The president has to ensure that the minister has all the support he needs to do his job. To reverse the economic decline, Zimbabwe needs swift reforms that might create some discomfort in the short-term, but will eventually bear fruit. Ncube's decision to delay the acquisition of luxury cars for the new ministers and Members of Parliament was one such necessary belt-tightening move that will give citizens the confidence that the government is serious about fixing the economy. There is an urgent need to decisively deal with cash shortages, rising prices of basic commodities and massive unemployment. Zimbabwe is also battling endemic corruption that has stifled infrastructure development and frustrated investors. This is why we believe Ncube's "big bang approach" is the way to go and he needs everyone's support to drive that agenda.